Today’s world is full of irony. One such example is that the average public school teacher makes $50,000-$60,000 annually, and that the annual sticker price for a private college education is about $50,000. How then, is someone who spends his or her life educating youth expected to afford the higher education of his or her own children? Why are the monetary amounts the same? How can a high school student afford his or her own college when some working individuals barely even make enough in a year to pay tuition? Many families fill out the FAFASA in hopes of receiving aid to alieve some of the tuition costs. College tuition is just too high. Yes, there are scholarships and grants. Yes, financial aid can help and students can get work-study jobs. Yes, banks offer student loans. But, why should a student who wants to further his or her education spend his or her first pay check paying off debts? College tuition is not priced for the student to afford. Heck, it’s not even priced for most parents to afford. The Free Application for Federal Student Aid (FAFSA) has become a hallmark of conversation at the dinner table for college-bound students. Virtually everyone fills out the FAFSA to see if they can get any aid, whether grant, loan, or work-study program. However, this aid can only alleviate some of the costs. The average net price for a private institution after aid is considered is $30,000. A state school is about $18,000 with aid. Even with the financial help, these costs still seem unfathomable to most students and families. The baby boomers could pay for their own college by working a summer job. Now, the times have changed. A summer job will barely pay for books, never mind a meal plan and housing, and just forget about tuition. According to the Washington Post, fifty years ago, the annual college tuition at a public college or university was about $6,600 in terms of 2011’s money. By 2011, the rate rose 101.7% to about $13,000. The increase in college tuition for a private school was 137.2%, from about $13,000 in 1964 to about $31,400 in 2011. Now, these figures account for inflation, if they didn’t, the percent increase for tuition would be over 250%. These increases do not correspond to increases to other costs of living, however. The price of a car only increased by about two thirds and the median family income barely changed, per the New York Times. How, then, is college tuition rising so extremely? It doesn’t make sense. What makes this tuition hike even more nonsensical is that the New York Times reports that the salaries of full time faculty members have barely increased in the past 45 years. Furthermore, many colleges are relying on part time instructors. 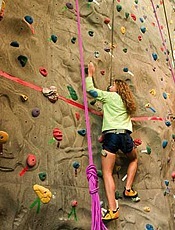 The addition of student activities like rock climbing walls has driven up the tuition rate. So, where is the exorbitant tuition going if not to professors? Of course, the buildings need to be maintained and typical running costs are incurred, but these do not solely account for the high prices. The Delta Cost Project found a lot of the tuition money goes toward “student services” like improving the sports programs or student life. Examples of this include adding better coaches to the faculty or constructing rock-climbing walls for student enjoyment. While having a reputable sports team or a lazy lagoon to relax in on a Saturday may seem fun, they hardly justify the tuition they incur. On a more academic note, however, some of the higher tuition can be attributed to better research opportunities and more impressive laboratory equipment. And while some of these research projects are well-founded, others are not. An admissions officer once told prospective students that an undergraduate went on an all-expenses paid trip to the Super Bowl for her “research.” The officer himself even admitted he was not completely sure what the correlation between her project and the sporting event was. Critics who claim that the cost of college tuition is justified say that if a family cannot afford a private school education, there are also state and community colleges. Unfortunately, state colleges are not that much less expensive than private schools and attendees are less likely to receive aid. Also, an associate’s degree from a community college is not held at the same esteem as a bachelor’s degree from a four-year school. Even if a student starts off at a community college, he or she may continue onto a four-year institution and therefore end up paying the high tuition rate anyway. The cost for college is excessively high. In a job market where college degrees are often a prerequisite, the cost of obtaining that degree should not be a burden to families. Tuition should not be the same amount as a teacher’s salary. It is not right that some families go from paying nothing for high school to paying $50,000 for college. Many colleges see the financial struggles families go through, but more needs to be done to alleviate tuition cost. To whoever is reading this, don’t let the high cost scare you out of going to college, but do bring the exorbitant rates to the attention of someone who can help this educational irony.